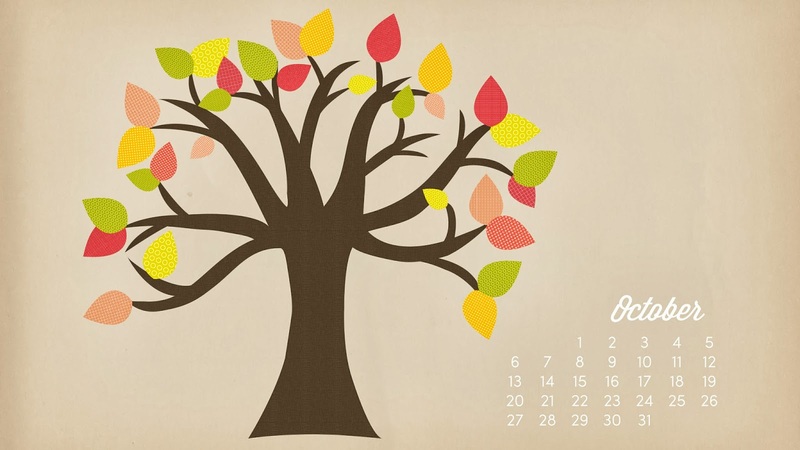 We all need a little extra love in November . . . the month with a bad reputation for being dreary and cloudy. Apologies to people like my sister who will be celebrating a birthday this month. I don't mean to insult your month. And hey, there's always Thanksgiving to look forward to. Pie, turkey, and pie. 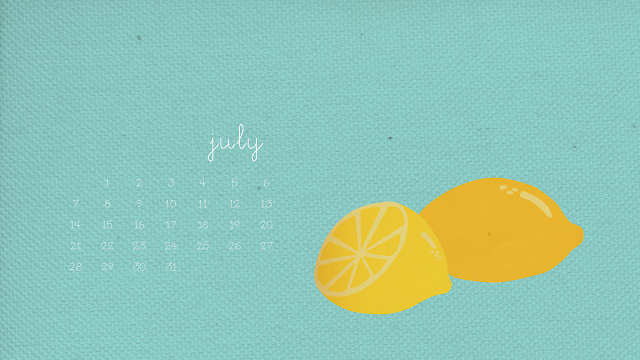 Here's some love for your desktop too. Holy cow, it's October. Time's a flyin'. October means Halloween is coming up and around here we're in our first round of costume proposals. This is when Ben, the four-year-old, says he wants to be a gila monster (a kind of lizard if you don't watch Wild Kratts religiously like Ben does) and I say no. I like Halloween, I like it better now that I have kids. We even have a big Halloween open house/party for trick-or-treaters, friends, and family. But I don't want my house to look like a Halloween party for 30 more days than it has to. 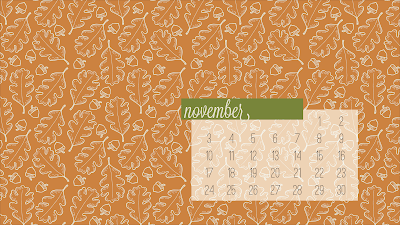 By extension, this wallpaper is for the more fall focused desktop because what I love, is fall. 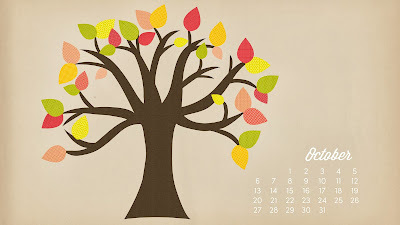 Fall weather, fall colors, it's my favorite season, and October is the best fall has to offer. I hope you enjoy this view almost as much as you enjoy the view out your window. I honestly don't think it's almost September. Can't possibly be since we've been marinating in humidity and baking in the hot sun for over a week. But someone told me it's Labor Day weekend, so whatever, I guess it's true. I'm working on creating more patterns around here because it's something I'd really like to get better at. A good friend gave me a Spoonflower gift certificate and I can't WAIT to try making my own fabric. Ooh-la-la! 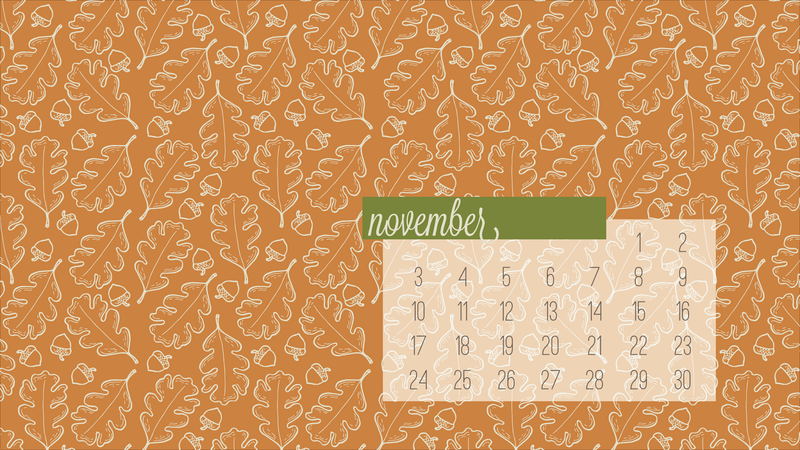 So this month's desktop wallpaper/calendar utilizes a pattern I was fiddling with. 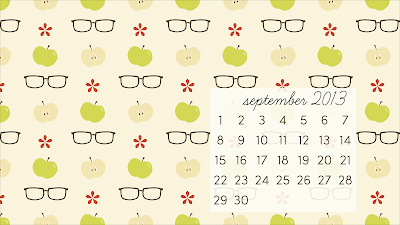 I used the glasses from my back to school illustrations and added some apples. It might be a tad busy for a monitor but I still like it, so feel free to use it yourself if you like things a tad busy. I've been wanting to try my hand at making some desktop wallpapers. I'm constantly changing mine, usually monthly, because I have visual ADD like that. 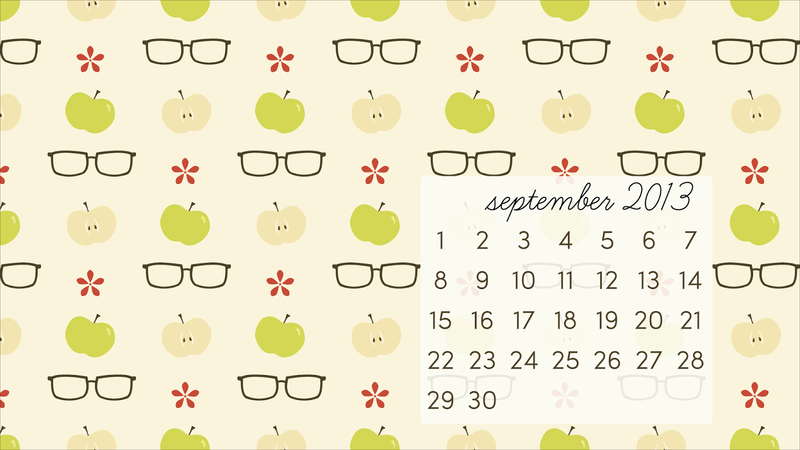 Lately I've been into calendar wallpapers. I like the "seasonality" to it. Below you'll find my first stab at a wallpaper for this July (which is already half over, I know, but sometimes my projects get stalled). I'm still working on all the technicalities like sizing, formats for mobile devices, etc. I'm slow on the uptake there. But if you'd like to use this first attempt yourself, click on the image below. Maybe I'll start working on August now.